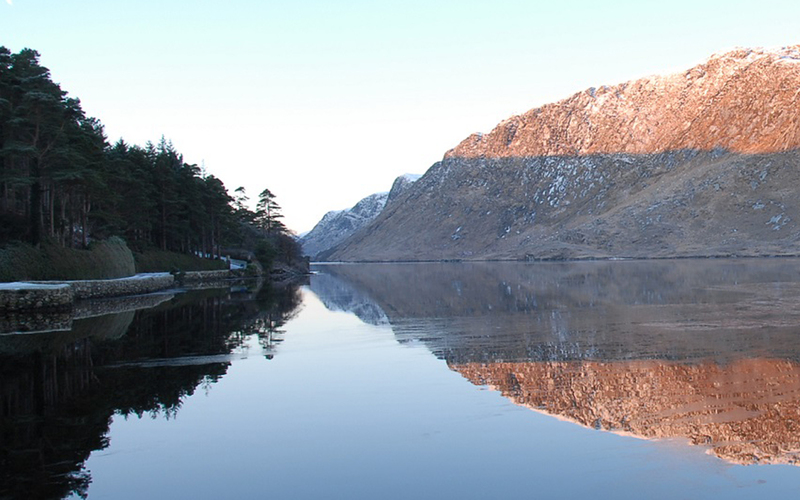 Carols at Glenveagh now open for booking. The North West Opera return to Glenveagh Castle for their annual evening of Christmas carols on Fri 1 and Sat 2 December. They will perform traditional Christmas carols sung in 4 part harmony by the chorus of North West Opera led by professional soprano Ann Jennings. Features beloved works such a O Holy Night and Silent Night and many other favourites. Narrated by Highland Radio’s Donal Kavanagh. Tickets are €19.50 which includes refreshments (mince pies, gingerbread & non-alcoholic mulled wine) or if you wish to skip the goodies you can see the concert only for €17. The performance begins at 8.30pm and the bus over to the castle from the visitors centre runs every 15 mins from 7.30pm. Tickets are available exclusively at An Grianán Theatre’s box office on 0749120777 or online here. If you book over the phone or online please note that you do not have to call to the theatre to collect your tickets in advance as we will send them to the venue on the night. Limited availability – early booking strongly advised. See the North West Opera’s Facebook page for latest updates. 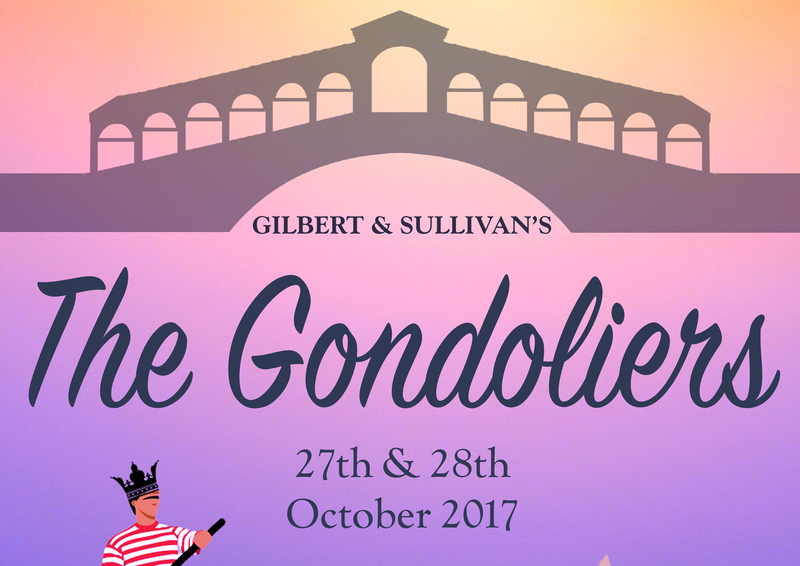 The North West Opera return to An Grianán this October for an evening of beautiful melody and light-hearted banter with their production of Gilbert & Sullivan’s The Gondoliers on Fri 27th & Sat 28th October. Packed with crowd-pleasing vocal arrangements and tongue-in-cheek humour, The Gondoliers is a tale of the search for the heir to the throne of the fictional state of Barataria and all the plot twists that follow before the matter is resolved. William Gilbert’s laugh-out-loud lyrics and Arthur Sullivan’s sumptuous and often giddy music will be performed by a combination of professional singers, orchestra and a veritable feast of local talent. Billy Patterson and soprano Ann Jennings play The Duchess and Duke of Plaza-Toro in The Gondoliers. Soprano Ann Jennings and former LMS director Billy Patterson play The Duchess and Duke of Plaza-Toro, combining fabulous vocals with natural comic flair. The eponymous Gondoliers are portrayed by professional tenor Arthur Swan and James McLaughlin formerly of the D’Oyly Carte opera. Donal Kavanagh, a devotee of all things Gilbert & Sullivan, is relishing the role of the Grand Inquisitor Don Alhambra. Fresh from his success in the lead as the Phantom of the Opera, Robert Kelly takes on the role of Luiz, secretly in love with Casilda played by professional soprano Diana McLaughlin. Following North West Opera’s critically acclaimed and tremendously entertaining production of Die Fledermaus last year, Deigh Reid is returning to employ his directorial, musical and comic instincts. Not the type to sit on her heels, Ann Jennings will then be jetting off to Europe in December where she has been signed up as Musical Director to lead a team of West End singers & dancers, in a new Andrew Lloyd Weber International gala, putting the soloists through their paces both vocally and musically. 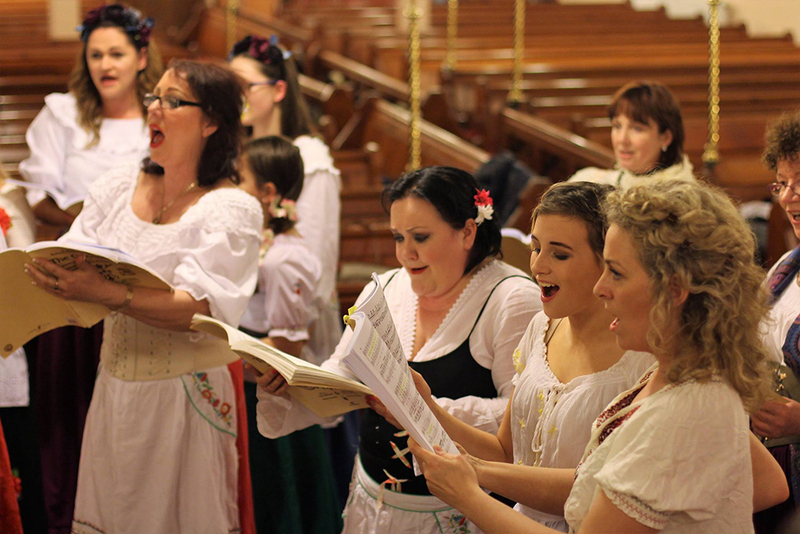 You can follow the show’s rehearsal progress on Facebook northwestoperaireland. This week the North West Opera present Johann Strauss’s sparkling operetta Die Fledermaus. Like the champagne that flows through it, Die Fledermaus bubbles with uplifting music and comical moments from curtain up. The colourful romp follows 24 hours in the lives of a group of Viennese bourgeoisie where disguises, hoaxes and flirtation fuelled by copious amounts of champagne culminate in hilarious results – all set to Johann Strauss’s stirring and sumptuous orchestral score. An international cast of opera professionals has been arriving in Donegal over the last week, including German conductor Anton Zapf and his orchestral musicians, South African Tenor Arthur Swan, Dutch Bass-Baritone Frits Kamp and Northern Irish Bass David Robertson. They join the NWO’s resident sopranos Ann Jennings, Diana McLaughlin, Deborah Cunningham and Baritone Paul Martin. North West Opera also have their strongest chorus to date, with 47 talented singers drawn from Donegal and Derry/Londonderry. For more information about the musicians, cast and the final preparations for this fabulous show see Facebook North West Opera Ireland. Die Fledermaus is on this Friday and Saturday 4 and 5 November at 8pm. Book now! North West Opera are delighted to announce that Anton Zapf will join them to conduct Strauss’s Die Fledermaus this November at An Grianán. Anton has an amazing CV, working all over the world as an opera and concert conductor with over 60 orchestras in 15 countries. Also a composer for choir and orchestra, his works have been widely performed in Europe. He will be arriving in Donegal about 10 days prior to the opera to work intensively with the orchestra, soloists and chorus. Die Fledermaus is a entertaining and colourful comedy set to wonderful music by Johann Strauss. The light-hearted plot follows 24 hours in the lives of a group of Viennese bourgeoisie centred around an elaborate plan for the revenge of The Bat. Disguises, hoaxes and abundant flirtation fuelled by copious amounts of champagne culminate in comical results. In just over a week a plethora of international music talent will descend on Donegal to begin final rehearsals for the North West Opera’s lavish production of Hansel & Gretel. Hansel and Gretel is a feast of fantasy, comedy and drama woven through with soaring arias, rich choral melodies and charming ballet sequences. Anton Zapf will conduct the North West Opera’s 20 piece orchestra for Hansel and Gretel at An Grianán Theatre this November. The NWO have been extremely fortunate to be able to welcome conductor Anton Zapf, who has worked with over 60 orchestras in 15 countries, including many national opera companies. It is Anton’s enthusiasm to be able to bring opera to all, and his long-standing friendship with NWO Musical Director Ann Jennings, that has drawn him to Donegal. He will lead a 20 piece orchestra of professional classical musicians drawn from all over Europe. Ann Jennings (on piano) rehearses with some of the adult chorus of Hansel and Gretel. The three principal soloists are all opera professionals of considerable experience. The Witch/Mother is played by Soprano Ann Jennings, who has performed opera internationally for over 20 years. Hansel is played by Mayo born Anna-Louise Costello, a graduate of Dublin Conservatory of Music and the Royal Academy of Music, London and currently based in Berlin, Germany. Gretel is played by American Soprano Diana Bryan-McLaughlin, trained by NY Met Soprano Sharon Christman, she has extensively performed in both traditional and modern opera works. They are ably accompanied by the excellently trained North West Opera chorus, including the angelic sounding children’s chorus and ballet dancers from Zona Dance. Dancers from Jessica People’s Zona Dance Studios preparing for Hansel and Gretel. In Humperdinck’s native Germany, Hansel & Gretel is a hugely popular opera. Since its first performance in 1893, it has captured the hearts of the audience and today is considered a national treasure. In fact the run up to Christmas in Germany would not be complete without it. It is the perfect production if you already enjoy opera but also very accessible making it an ideal introduction to opera for newcomers. The story on which it is based is universally known, and in addition this production will be sung in English making it easy to follow. Hansel and Gretel follows on from the North West Opera’s highly successful productions of The Magic Flute, Carmen, La Boheme and La Traviata. Do not miss out on this opportunity to see this beautiful grand opera on your doorstep! Visit northwestoperaireland on facebook or go northwestopera.com for regular updates or see our event page to find out more or book tickets. Carmen – our biggest ever opera production! Featuring a 22 piece orchestra live on stage, a chorus of 60 local adults and children and professional opera singers including Ireland’s Ann Jennings and American soprano Diana Bryan-Mc Laughlin, Carmen is our biggest ever opera. Following their large scale production of La Boheme at the Earagail Arts Festival, the North West Opera are presenting their next production here at An Grianán this week. George Bizet’s Carmen is one of the most popular operas of all time and features some of the most memorable and loved classical music ever. 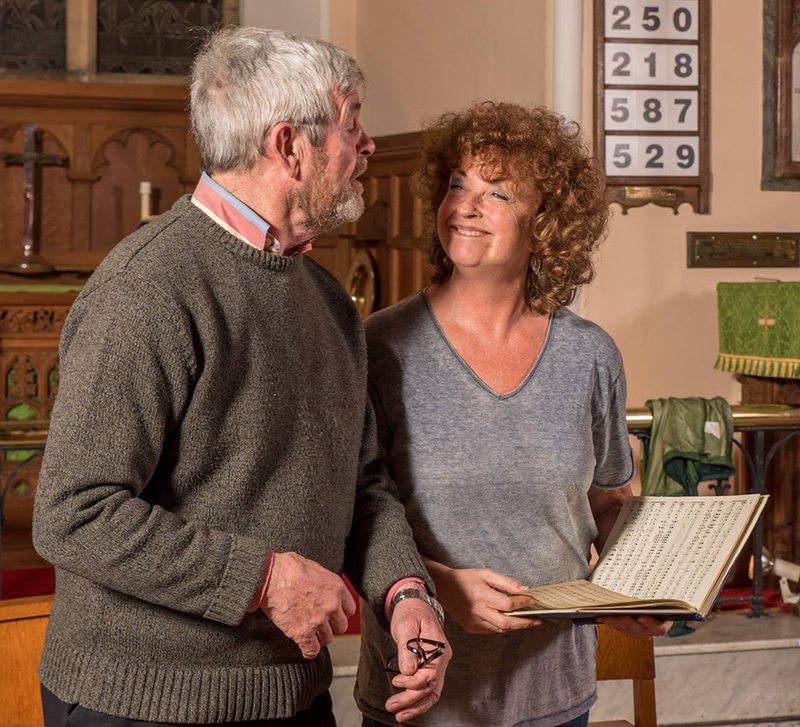 As with La Boheme, this production will feature professional opera singers in all the principal roles, ably backed by a supporting cast and chorus drawn from the local community. In addition we are very fortunate to have the score performed live on stage by Egypt’s Cairo Opera Orchestra under the baton of the internationally acclaimed conductor Nader Abbassi. With 22 members, it is the biggest live orchestra that we’ve ever has accompany an opera performance and adding in the supporting cast and chorus of around 60 adults and children, this is quite simply the largest scale opera to date in An Grianán. Sharing the stage with Irish soprano Ann Jennings is American soprano Diana Bryan-Mc Laughlin who will perform the role of Michaela. Carmen tells the story of young, naïve soldier Don Jose, who is bewitched by the beautiful and fiery gypsy Carmen. In order to escape arrest, Carmen seduces Don Jose with the famous song Seguidilla. Don Jose is then arrested and on his release she again seduces him with an exotic gypsy dance but heartlessly mocks him when he tries to leave to return to his Barracks. Don Jose subsequently deserts the army to follow her into a life of crime, joining a band of smugglers. Later, bored with Don Jose, the fiery, temptress abandons him, scornfully taunting him to run home to his mother. She turns her attention to the exotic bull fighter, Escamillio, who sings the hugely famous ‘Toreador’ song. But Jose’s desire for Carmen will eventually bring ruination them both. Your ticket for the: Carmen – our biggest ever opera production!